One of the cornerstones of ASG is our long standing tradition of providing investigative excellence to insurance carriers. Our investigation services, which include casualty surveillance, background checks and activities checks, have helped thousands of adjusters and defense attorneys from coast to coast to gather the information they need to make educated, responsible claims decisions. What we will promise you, which the giant national P.I. agencies cannot, is that we will not embarrass you or your company. We do not accept assignments that we cannot confidently perform, and perform well. We do not use investigators who are untrained, inexperienced and make for poor witnesses on the stand. In short, everything we do, we do with your best interests in mind. We follow an ethics policy and treat the subject of the investigation like a real person and respect their rights and dignity. Many agencies providing insurance claims investigations cannot deliver the same level of service or product that we can because they try and be everything to everyone and everywhere, at the lowest price possible. In our business, labor costs are the main expense that a P.I. will incur. By keeping that cost as low as possible, they try and maximize their profit. (For those of you who may doubt that these national agencies pay only slightly better than the minimum wage, call and ask to apply for a job at one and ask the starting salary) Keeping labor cost low appears to be a sound business decision particularly when they rationalize this by relying on case management software, an initial training class and even some experienced supervisors to try and make up for a lack of experience or skill in the field. Oh, don’t forget, they claim to be able to do everything anywhere in the country. The problems arise when you realize that their investigators are not professionals, they are kids with little or no real world experience, supervision by telephone only and a true lack of concern for their low paying dead end jobs. No agency can provide you with true investigative excellence when the work is actually being conducted by inexperienced investigators who make twelve dollars an hour. Even more insulting than utilizing these unqualified people as their field investigators, these same firms send out sales people to convince your manager that they should be hired to manage your claims files and special investigative unit. You need investigative expertise, not fairy tale stories from someone who sees your case and number ten thousand. Why would any carrier want to work these giant agencies? Because they sell the idea of “cost savings” to executives very high up in the company who get wined-and-dined by sales professionals with graphs and slick promises. In some cases, these investigative agencies also give their clients “refunds” or “rebates” a.k.a. kickbacks. We have a different approach. We only take cases in areas we cover regularly and reliably, we have a strict code of ethics we follow, all of our investigators are experienced and make for strong credible witnesses in court and all of our investigators are well paid professionals. All of our work is documented and supported. We do not speculate or embellish. We know what you need to succeed in the insurance industry and that is what we deliver. When you need insurance claims investigations conducted which yield real results rather than fairy tales, we encourage you to call us today and speak with an investigator. We at ASG pride ourselves as being a smaller agency with fewer employees than the larger nationally based private investigations firms. These companies are more concerned about advertising campaigns and trying to become “number one in the field.” These larger companies have hundreds or even thousands of employees, take up several floors of a large office building and may spend more on campaign ads and slogans than you and I will ever make in a lifetime. What it means to the customer is that they become a number and not a client. 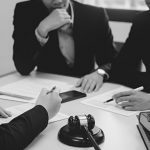 Most of these larger companies have an assembly line process when it comes to handling your cases. Cases begin with step A and end with step Z. 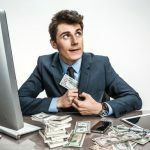 Their concern is not whether they handle your case correctly or whether they obtain your desired results; they just want to get the case, assign it to the next available employee, follow the predetermined steps, get their money from you and send it out the door. Achieving a specific goal is the least of their concerns. ASG is a much smaller company than most of the larger, nationally based private investigations companies, but our capability to obtain a specific goal, is much larger. At ASG our clients are not file numbers, we treat them as real people. We take the time to listen to their stories, to help them come up with a plan of action and see their investigation through to the end. We will be up front and honest with the client. If after listening to their story and understanding what the client is looking for, we know that we cannot help this individual, we will simply turn the case down or refer the client to another investigations company that may be able to help them. Although we are a “for profit” company, money is not our bottom line. We have taken in several cases with several investigation hours budgeted. While working on these cases, we found certain shorter avenues to achieve the desired results and came in well under the budgeted number of hours, allowing us to pass on those savings to the client. ASG also has professionals assigned to smaller divisions within the company specific to certain investigations. What this means to you is that the investigator that you speak to in the beginning to help begin your investigations, will be the same investigator who keeps you updated during the process and speaks to you about the final result. With the larger companies, you never know who is handling your investigation from day to day and are usually kept in the dark until your invoice is mailed out. At ASG you will be updated during the process and will know exactly where we are with your investigation on a daily basis. Many of our clients establish a very solid rapport with our investigators which makes them feel very comfortable and not like just another number. Being a smaller company, ASG has the advantage of hiring professional investigators at a higher hourly/salary than larger companies. 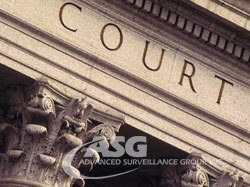 ASG’s investigators all have several years of military, law enforcement or prior private investigations experience. The larger companies pay their investigators barely higher than minimum wage which allows them to cover a much larger area. This is also why these companies have a very high turnover and settle for less than “cream of the crop” when it comes to their personnel. What does this mean to you? The larger companies hire young kids who think it would be “cool” to be an investigator. They provide very little training, possibly the company manual, and give them a video camera. When it comes to the quality and professionalism involved with your investigation, how do you think they will perform? 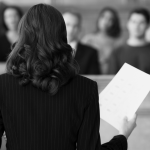 If your case goes to trial, would you want an inexperienced kid on the stand or a professional investigator with several years of experience? ASG has professional investigators assigned to specific areas in the company based upon their own prior training and employment experience. Unlike the larger companies who train their employees once during the initial orientation, ASG employees are constantly being trained to keep up with modern technology, laws and ethics and the continuous changes in the field of private investigations. When it comes to insurance claims investigations, bigger is not always better. Give ASG a call and be treated like a person and not a number.